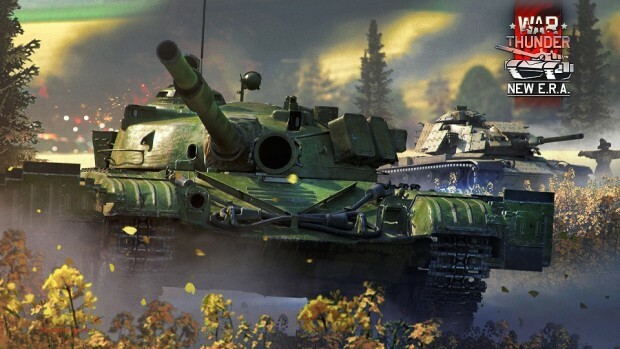 War Thunder‘s “New Era” has finally dawned! In today’s Update 1.71, Gaijin Entertainment adds a new rank for ground vehicles, new locations and gameplay features, and over 30 vehicles sporting the best technology the 1960s and ’70s have to offer. No, that doesn’t mean tie-dye camouflage. The new Rank VI ground vehicles have — as Curst helpfully pointed out in the comments on our post announcing the update last month — explosive reactive armor, or E.R.A. Seven of the new vehicles are Rank VI ground vehicles, with the rest being split among ground and air vehicles of various ranks. This update also includes Fulda Gap, dubbed “the most modern map ever released in War Thunder” and Emperor’s Garden, set amidst a peaceful — though not for long — Japanese village. There’s also a Hürtgen Forest air combat map, where you can try out the new first-person view for aircraft gun turrets. Find out more about everything Update 1.71 has to offer in the video below or on the War Thunder site. So how many tens of thousands of hours of grinding does it take to unlock one of these tin cans? New tier 6 tanks require 380-390K experience, almost the same amount as tier 5 tanks (320-380K). On top of that all MBTs (except for Chieftain Mk10) aren’t connected to previous tanks, so you can skip tier 5 almost entirely if modern tanks is what you want. Could have been much worse IMO. As for overall grindiness of the game, I can’t really comment on that. Personally I enjoy gameplay enough (most of the time anyway >_> after all it’s a game that has a way of getting on your nerves from time to time) to never notice it.